The very basic definition of an uncontested divorce is that both sides are in agreement that the marriage is irretrievably broken and that there is no hope for reconciliation. One might think than that a few signatures on a legal document would suffice it to dissolve the union. As experienced uncontested divorces lawyers, we can tell you that it is never that easy. 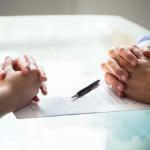 In St. Louis it is generally not enough for both parties to be seeking a divorce. In order for a judge to consider an uncontested divorce, all of the marital issues that come up during divorce proceedings such as child care and division of property, will have to be resolved. Having been through hundreds of these types of divorce petitions, we can tell you that an uncontested divorce involves a lot of paperwork. We handle most of that for you to ensure that there are no accidental errors that could prolong the process. The first hurdle for a divorcing couple in St. Louis is the creation of a parenting plan. The family law system in our state puts the needs and safety of children above anything else. To that end, they want to make sure that as parents, your decision to dissolve the marriage will have a minimal effect on the lives of your children. They encourage joint physical and legal custody of minor children in order for both parents to remain an active part of their children’s lives. A specific schedule outlining visitation times for noncustodial parents. It should include information about who the holidays will be spent with, how school holidays will be handled, and the schedules for the children during the week and on weekends. A judge will also like to see provisions made for who the child will spend long term school vacations with. The time and place where the child will be picked up and an agreement regarding how those driving chores can be shared. Other forms of communication between the child and noncustodial parent should be arranged such as phone calls and e-mails. You and your parenting partner should also detail a plan for when one parent needs to change a part of the visitation schedule. 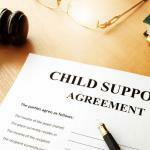 An agreement regarding how legal custody of the child will be handled. 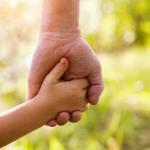 St. Louis family court judges prefer to see joint legal custody of minor children in a parenting plan. In the plan there should be an outline for educational decisions and a method in place in order for both parents to receive important notifications. It should also discuss how any health care decisions should be made, including the doctors that are selected and a plan in case of medical emergency. How seemingly inconsequential day to day decisions like extracurricular activities and child care will be determined by both parents. Most importantly in this section is a plan to solve disputes concerning the best interest of your child, if they should arise . If you and your spouse try to simplify this by suggesting that one parent will be responsible for all decisions in the child’s life, you will have to outline your reasons why joint legal custody is not appropriate in your case. Your agreement for child support is also included in the parenting plan. In addition to the agreed upon amount to be paid, you will need to make sure that you include who will provide health insurance for the children and how any additional expenses not covered by insurance will be paid. Educational expenses need to be addressed as well as child care costs plus a provision for how a major, unexpected expense shall be addressed. In addition to the detailed parenting plan, the judge will want to see that the couple has also reached an amicable agreement to the division of the marital property and any accumulated debt the couple may have. Bear in mind when making these decisions that marital property includes all assets acquired during the course of the union, regardless of whose name may appear on the title or deed. The only exceptions are gifts made by someone other than your spouse or an inheritance. You and your spouse will also need to look at your acquired debt and decide who is going to be responsible for each one. This will include mortgages, car payments and credit card bills. Utility bills are not considered debt and do not need to be a part of the agreement. One last item that should be covered in your uncontested divorce petition is the provision for spousal support, if any. Spousal support is not mandatory in St. Louis and therefore not a requirement for an uncontested divorce. With our help, it is not unreasonable to expect an uncontested divorce petition be granted in a relatively short period of time. If you and your spouse are able to work together and use our experience as a guide, we can file your paperwork for you, and hopefully you and your spouse will be granted your dissolution of marriage without ever needing to enter a courtroom.